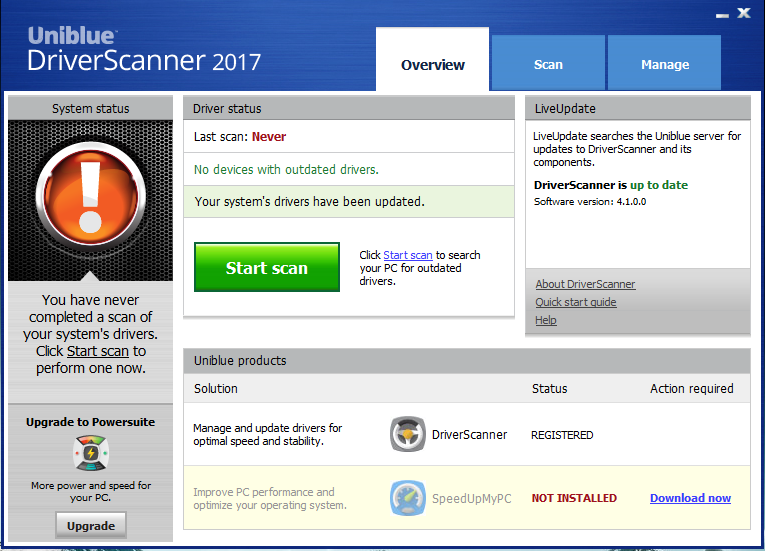 Old drivers impact system performance and make your PC and hardware vulnerable to errors and crashes. 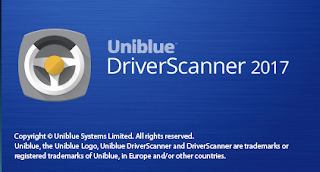 Uniblue DriverScanner 2017 can help you to update these drivers.DriverScanner provides you all the tools you need to scan missing drivers, update drivers, create backups and restore them with ease. 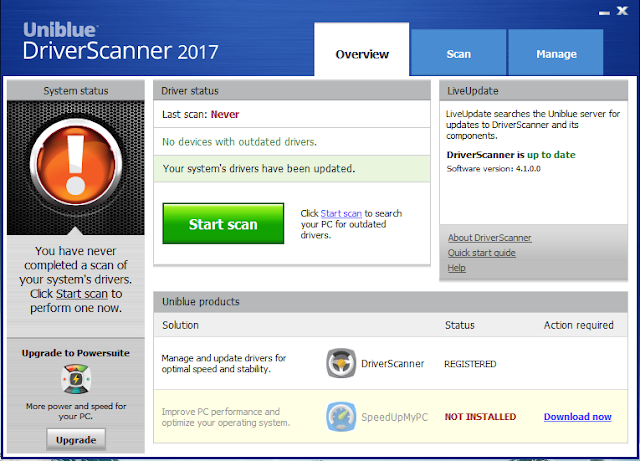 You can scan your computer and get a comprehensive list of drivers along with device driver informations. It can display information on every single piece of hardware, provides an impressive amount of information regarding your drivers. In addition, it also comes with backup and restore tools, so you can roll your PC’s drivers back to a previous with ease.